There is some science focusing on the positive effects of an alkaline diet when it comes to your bone mineral density and your risk for developing kidney stones. If you’re looking for just the right diet plan for your health, you might consider the alkaline diet. It’s based on the theory that some popular foods—including meat, dairy products, eggs, grains, and processed foods—cause your body to produce more acid. 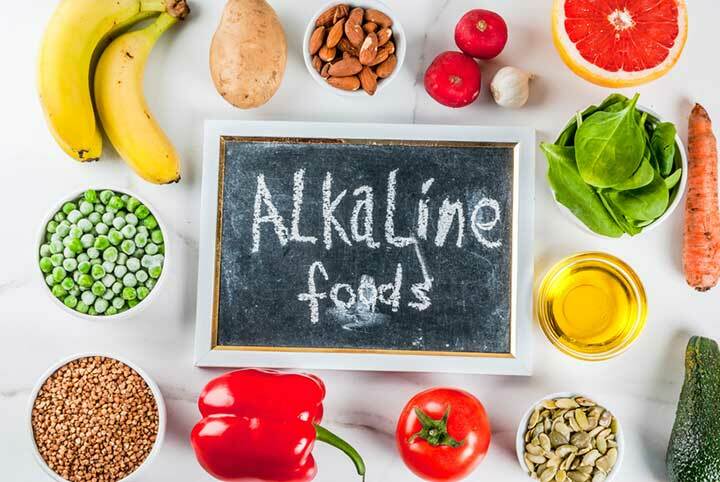 The aim of the alkaline diet is to avoid foods that leave an “acidic ash.” Conversely, other foods—including fruits, vegetables, and legumes—result in the production of alkaline by-products. Proponents of an alkaline diet claim that it can optimize your health and help you lose excess weight by reducing your body’s production of acid. There actually isn’t much clinical proof that the alkaline diet is any better than a range of other diets when it comes to helping you lose weight. However, the diet does emphasize healthy foods that may benefit your bone and kidney health. Understanding how the alkaline diet works requires an understanding of pH balance. You may remember learning about this while you were at school, but here’s a quick reminder for anybody who daydreamed their way through science class. The pH (“power of hydrogen”) scale is a measure of the acidity or alkalinity of substances that can be dissolved in water. The scale runs from 0 to 14, with 7 considered neutral. Acid is anything below 7; alkaline is anything above 7. The body has tightly controlled systems for maintaining a narrow window for pH levels. The kidneys maintain blood pH by absorbing or excreting compounds. Because of this buffering system, the acid load of your diet won’t significantly change your blood pH—but even so, over time, a high-acid diet may have health consequences. Alkaline diet and your bones. Bone density is the amount of bone mineral in your bones. Bone mineral is important because it gives bones their strength. Any reduction in bone mineral (and, thus, bone density) raises your risk for osteoporosis fragile bones that are susceptible to fractures that can be fatal for many older adults. Some research has suggested that high-acid diets cause calcium—a vital mineral component of bones—to leech from bones. In a 2010 study, high-acid-forming diets were found to increase urinary calcium excretion and, in some cases, reduce bone density. Alkaline diet and your kidneys. Evidence suggests that high-acid diets may contribute to kidney stone formation. They also may be linked to a greater risk for kidney failure. In a 2015 study (Journal of the American Society of Nephrology) involving 1,486 people with chronic kidney disease, those who consumed a high-acid diet were three times more likely to develop kidney failure than those with low-acid diets. The body’s mechanism for maintaining its pH balance is highly regulated, and it also varies. For example, the pH balance of your stomach is influenced by the fact that it contains hydrochloric acid, so its pH level will range from about two to 3.5. Conversely, your blood is more alkaline, with a pH of about 7.2 to 7.45. Also keep in mind that certain foods will affect pH differently if they’re combined with certain other foods, meaning that a food’s individual pH scale might not be particularly relevant. 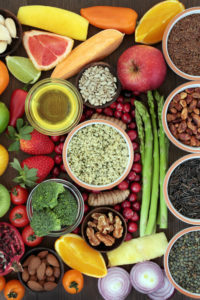 That said, the dietary pattern promoted in the alkaline diet—rich in vegetables, fruits, and legumes, and lower in animal proteins and sodium-laden processed foods—happens to be one most health experts recommend for optimal health, as long as you don’t take it too far. It’s not a good idea, for example, to exclude whole food groups from your diet, and the alkaline diet recommendation to avoid grains is not one most dietitians would support unless you’re allergic to grains. If you’re looking to manage your weight and ensure you get the right balance of nutrients, you’d be better off following the Mediterranean diet, which has strong clinical evidence backing up its health benefits. bone, bone density, bone mineral density, calcium, chronic kidney disease, dairy, diet, food, food groups, for osteoporosis, health, kidney failure, kidney stones, Lose Weight, mediterranean diet, nutrients, osteoporosis, processed foods, risk for osteoporosis, strength, the mediterranean diet, vegetables, whole food, your bones. I thought you might be interested in this article on https://universityhealthnews.com: Should You Try the Alkaline Diet?